Even though my boys head back to school today, I have begun preparing for this day for a few weeks now. Possibly longer, but I didn't really want summer to end. I always pack their lunches for school and I try to pack them the night before or at least organize it the night before. There is nothing like 1st week of school tired when trying to throw together a lunch and then realizing you forgot to pack a drink or worse, a sandwich! We live in north Texas and the weather here can be scorching hot and just because school heads back today, doesn't mean fall will come any sooner. So, it's essential to pack a thirst quenching drink like DASANI water. Plus, they come in the perfect size to fit in their lunch boxes to help me pack the perfect lunch for back to school. 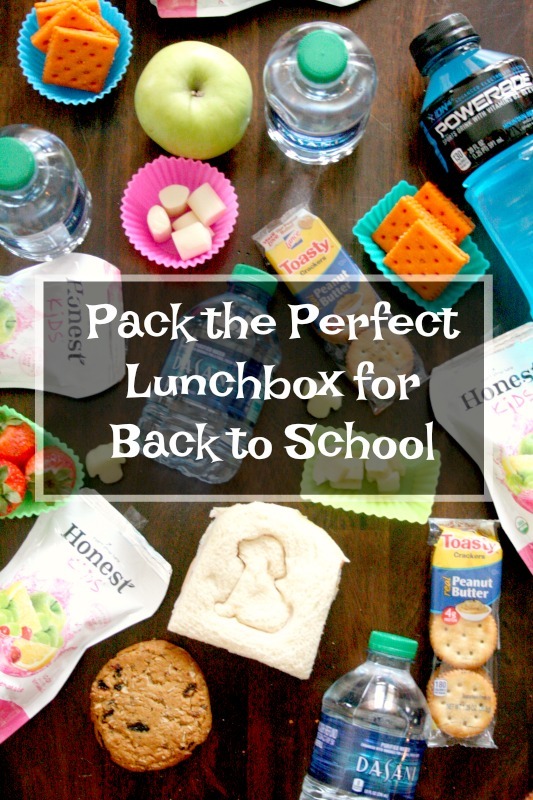 Packing the perfect lunch for back to school does not have to be hard and time consuming, no matter what you have pinned on your pinterest boards. Kids do not get a whole lot of time to eat lunch these days. Our lunches last 20 minutes so function and taste are key. But, to personalize our lunches, I do like to throw in something fun to make their lunch special. We love variety and to get that variety, I stopped by our local Tom Thumb and picked up some essentials for our back to school lunches. 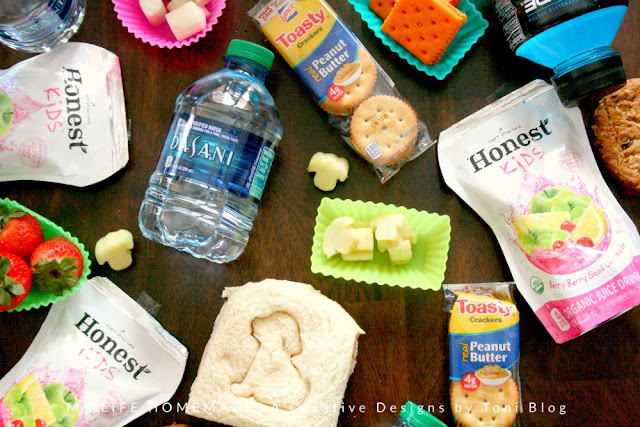 POWERADE, DASANI water, Honest Kids Organic Juice Drink, Toasty and Toast Chee snacks are all key to our lunches. 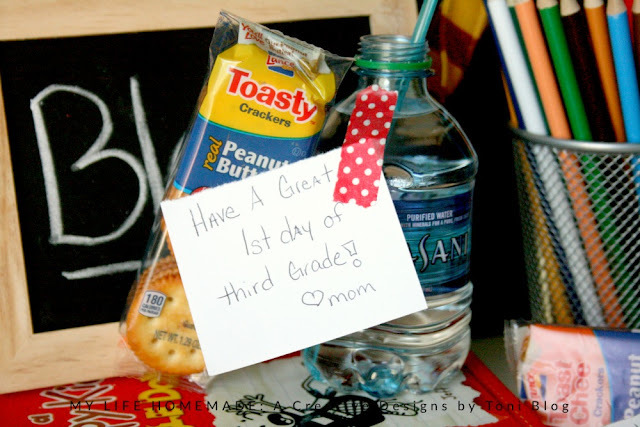 Plus, I add in fruits and/or veggies, sandwiches and a sweet treat to finish up our perfect back to school lunch. 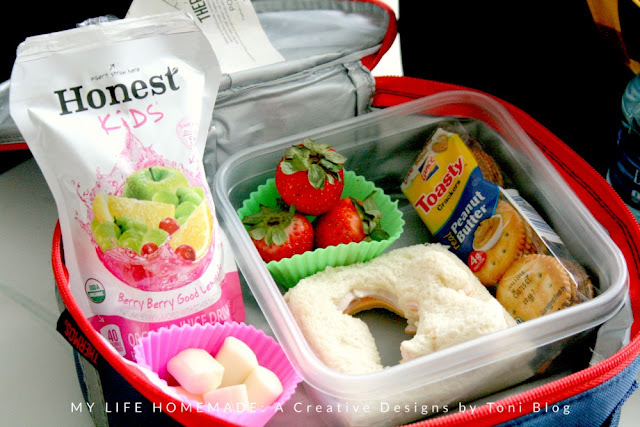 Check out these great tips to pack the perfect lunch for back to school. 1. Making a sandwich? Whether peanut butter and jelly or turkey and cheese, use a sandwich cutter or even a larger cookie cutter to create fun shapes kids of all ages will love. I know my 3rd grader insists on this and even helps pick out the shape he wants. 2. I always add in a fruit in their lunches. Slice some apples and using a shaped veggie/fruit cutter, cut out some fun shapes. Can do the same with strawberries, bananas, melons, carrots, etc. The possiblities are endless. 3. Drinks are an essential part of our lunch box. If I don't pack the right drink they may not drink it so I have to make sure we have the perfect drink. I love to pack DASANI water or POWERADE. It quenches their thirst on a daily basis. Honest Kids organic juice drinks are also another go to favorite. Throw in a silly straw to make their drinks fun! 4. Snacks! This is probably the most important part of lunch. These can make or break your lunch box and whether or not your child comes home and says "Mom, can you pack that again tomorrow" or "Mom, please don't pack that again". Lance Toasty crackers and Lance Toast Chee crackers will for sure get encore showing in our lunch boxes. 5. Include a personal note. Since my oldest son started kindergarten, I added a note in his lunch box so he wouldn't feel so alone when he went off to school for the first time. It was a hit and here we are now entering 5th grade and 3rd grade and I still include a note each time. It doesn't have to be elaborate or anything fancy. They will appreciate the thought and love that you are thinking about them too. 6. Now that you have all the essentials, start packing. I like to use containers and reusuable silicone liners to keep all our items secure. 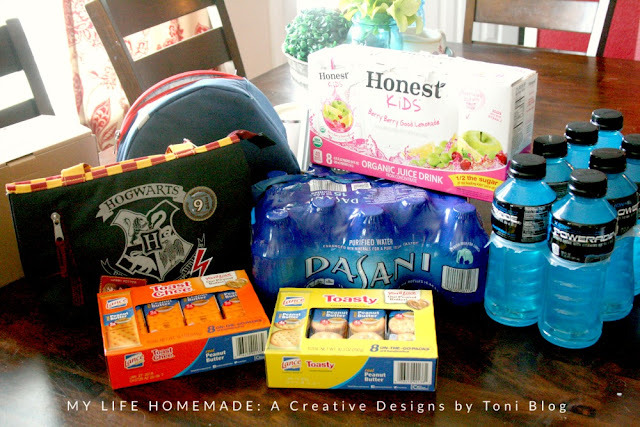 Head to your local Tom Thumb and pack the perfect lunch for school. 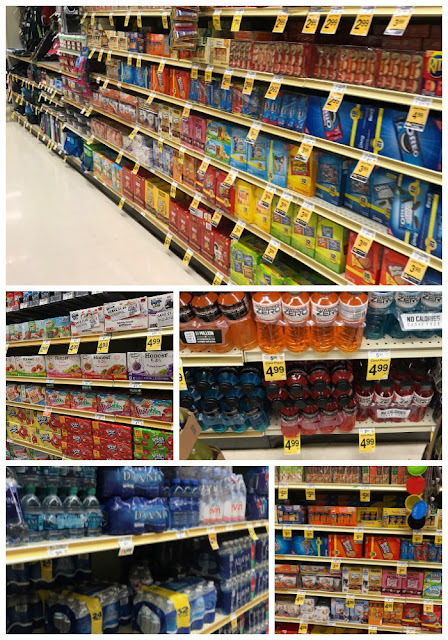 Right now you can save $1.50 on any ONE Lance 8 count and larger sandwich packs when you buy any TWO participating DASANI, POWERADE or Honest Kids multipacks with tear-pad coupon found in-store. This IN-STORE coupon is available on the end-caps, so keep a look out. 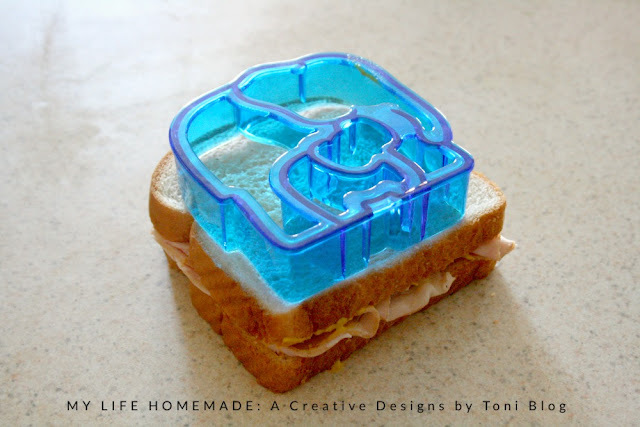 Love your puppy sandwich cutter! Too cute. I did the same campaign.